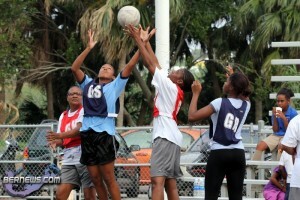 The Bermuda Netball Summer League Season came to an end at Bernard Park on Tuesday [June 21] evening. Losing their last game yesterday to record their only loss of the season, the YMSC Bluebirds are the 2011 BNA Summer League Champions with a record of 10 wins, 1 loss and 1 draw. 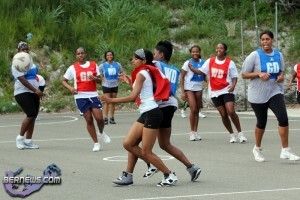 In their final game the YMSC Bluebirds went down to BMA 21–18. Chaquita Simmons scored 14 goals to lead BMA to victory, while Cherie Manders added 7 goals. 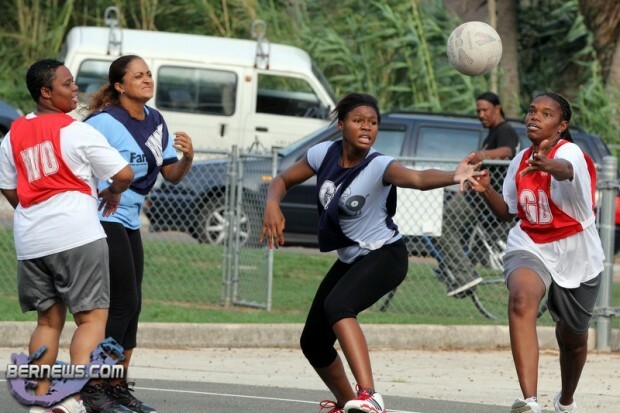 Fredericka Samuels scored 14 goals for YMSC, while Shanelle Lewis added 4 goals. Runners up were Warwick Breakers with 9 wins, 2 losses and a draw. They defeated Family 26–16; Kirstin Saltus scored 13 goals for the Warwick Breakers, who also got 9 goals from Debra Saltus, 3 goals from Alfreida Dill and 1 from Patricia Pitcher. Diara Benjamin scored 7 goals for Family, while Amali Smith added 6 goals, Monique White added 2 and Asante Chapman scored once. In the final game of the night Vernicka Symonds scored 7 goals for the PHC Lady Zebras as they went down 38–15 to the Space Hoppers. Jennifer Simmons added 5 goals for the PHC Lady Zebras, and Tanika White scored 3 goals. Fredericka Samuels of YMSC Bluebirds was the top goal scorer with 220 recorded goals, while Diane Moore of Space Hoppers finished second with 124 recorded goals, and Chaquita Simmons of BMA finished third with 122 recorded goals.